Perfect for shooting alone or with friends. The multi-target provides 6 different points of aim. 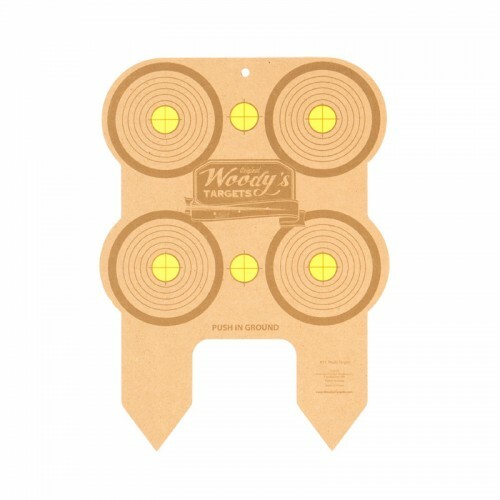 The wood construction allows you to come back days later and shoot any remaining aim points.